Zargar, S. M., Kurata, R., Inaba, S., Oikawa, A., Fukui, R., Ogata, Y., Agrawal, G. K., Rakwal, R. and Fukao, Y. (2015). Quantitative proteomics of Arabidopsis shoot microsomal proteins reveals a cross-talk between excess zinc and iron deficiency. Proteomics 15(7): 1196-1201. Kusuda, H., Koga, W., Kusano, M., Oikawa, A., Saito, K., Hirai, M. Y. and Yoshida, K. T. (2015). Ectopic expression of myo-inositol 3-phosphate synthase induces a wide range of metabolic changes and confers salt tolerance in rice. Plant Sci 232: 49-56. Osanai, T., Oikawa, A., Iijima, H., Kuwahara, A., Asayama, M., Tanaka, K., Ikeuchi, M., Saito, K. and Hirai, M. Y. (2014). Metabolomic analysis reveals rewiring of Synechocystis sp. PCC 6803 primary metabolism by ntcA overexpression. Environ Microbiol 16(10): 3304-3317. Tawaraya, K., Horie, R., Saito, S., Wagatsuma, T., Saito, K. and Oikawa, A. (2014). Metabolite profiling of root exudates of common bean under phosphorus deficiency. Metabolites 4(3): 599-611. Osanai, T., Oikawa, A., Numata, K., Kuwahara, A., Iijima, H., Doi, Y., Saito, K. and Hirai, M. Y. (2014). Pathway-level acceleration of glycogen catabolism by a response regulator in the cyanobacterium Synechocystis species PCC 6803. Plant Physiol 164(4): 1831-1841. Osanai, T., Numata, K., Oikawa, A., Kuwahara, A., Iijima, H., Doi, Y., Tanaka, K., Saito, K. and Hirai, M. Y. (2013). Increased bioplastic production with an RNA polymerase sigma factor SigE during nitrogen starvation in Synechocystis sp. PCC 6803. DNA Res 20(6): 525-535. Tawaraya, K., Horie, R., Saito, A., Shinano, T., Wagatsuma, T., Saito, K. and Oikawa, A. (2013). Metabolite profiling of shoot extracts, root extracts, and root exudates of rice plant under phosphorus deficiency. J Plant Nutr 36(7): 1138-1159. Kim, J., Choi, J. N., John, K. M., Kusano, M., Oikawa, A., Saito, K. and Lee, C. H. (2012). GC-TOF-MS- and CE-TOF-MS-based metabolic profiling of cheonggukjang (fast-fermented bean paste) during fermentation and its correlation with metabolic pathways. J Agric Food Chem 60(38): 9746-9753. Ogawa, Y., Sakurai, N., Oikawa, A., Kai, K., Morishita, Y., Mori, K., Moriya, K., Fujii, F., Aoki, K., Suzuki, H., Ohta, D., Saito, K. and Shibata, D. (2012). High-throughput cryopreservation of plant cell cultures for functional genomics. Plant Cell Physiol 53(5): 943-952. Matsuda, F., Okazaki, Y., Oikawa, A., Kusano, M., Nakabayashi, R., Kikuchi, J., Yonemaru, J., Ebana, K., Yano, M. and Saito, K. (2012). Dissection of genotype-phenotype associations in rice grains using metabolome quantitative trait loci analysis. Plant J 70(4): 624-636. Liu, C., Kurakane, S., Takita, J., Itano, R., Soga, T., Oikawa, A. and Igarashi, K. (2012). Antihypertensive effects of unripe persimmon (Diospyros kaki L. cv. Hiratanenashi) fruit and its component in spontaneously hypertensive rats. Food Sci Technol Res 18(3): 391-398. Bunsupa, S., Katayama, K., Ikeura, E., Oikawa, A., Toyooka, K., Saito, K. and Yamazaki, M. (2012). Lysine decarboxylase catalyzes the first step of quinolizidine alkaloid biosynthesis and coevolved with alkaloid production in leguminosae. Plant Cell 24(3): 1202-1216. Redestig, H., Kusano, M., Ebana, K., Kobayashi, M., Oikawa, A., Okazaki, Y., Matsuda, F., Arita, M., Fujita, N. and Saito, K. (2011). Exploring molecular backgrounds of quality traits in rice by predictive models based on high-coverage metabolomics. BMC Syst Biol 5: 176. Oikawa, A., Otsuka, T., Jikumaru, Y., Yamaguchi, S., Matsuda, F., Nakabayashi, R., Takashina, T., Isuzugawa, K., Saito, K. and Shiratake, K. (2011). Effects of freeze-drying of samples on metabolite levels in metabolome analyses. J Sep Sci 34(24): 3561-3567. Oikawa, A., Matsuda, F., Kikuyama, M., Mimura, T. and Saito, K. (2011). Metabolomics of a single vacuole reveals metabolic dynamism in an alga Chara australis. Plant Physiol 157(2): 544-551. Osanai, T., Oikawa, A., Azuma, M., Tanaka, K., Saito, K., Hirai, M. Y. and Ikeuchi, M. (2011). Genetic engineering of group 2 sigma factor SigE widely activates expressions of sugar catabolic genes in Synechocystis species PCC 6803. J Biol Chem 286(35): 30962-30971. Skirycz, A., Claeys, H., De Bodt, S., Oikawa, A., Shinoda, S., Andriankaja, M., Maleux, K., Eloy, N. B., Coppens, F., Yoo, S. D., Saito, K. and Inze, D. (2011). Pause-and-stop: the effects of osmotic stress on cell proliferation during early leaf development in Arabidopsis and a role for ethylene signaling in cell cycle arrest. Plant Cell 23(5): 1876-1888. Toyokura, K., Watanabe, K., Oiwaka, A., Kusano, M., Tameshige, T., Tatematsu, K., Matsumoto, N., Tsugeki, R., Saito, K. and Okada, K. (2011). Succinic semialdehyde dehydrogenase is involved in the robust patterning of Arabidopsis leaves along the adaxial–abaxial axis. Plant and Cell Physiology 52(8): 1340-1353. Saika, H., Oikawa, A., Matsuda, F., Onodera, H., Saito, K. and Toki, S. (2011). Application of gene targeting to designed mutation breeding of high-tryptophan rice. Plant Physiol 156(3): 1269-1277. Oikawa, A., Fujita, N., Horie, R., Saito, K. and Tawaraya, K. (2011). Solid-phase extraction for metabolomic analysis of high-salinity samples by capillary electrophoresis-mass spectrometry. J Sep Sci 34(9): 1063-1068. Kusano, M., Redestig, H., Hirai, T., Oikawa, A., Matsuda, F., Fukushima, A., Arita, M., Watanabe, S., Yano, M., Hiwasa-Tanase, K., Ezura, H. and Saito, K. (2011). Covering chemical diversity of genetically-modified tomatoes using metabolomics for objective substantial equivalence assessment. PLoS One 6(2): e16989. Ide, Y., Kusano, M., Oikawa, A., Fukushima, A., Tomatsu, H., Saito, K., Hirai, M. Y. and Fujiwara, T. (2011). 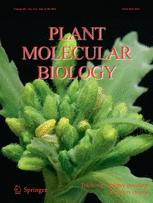 Effects of molybdenum deficiency and defects in molybdate transporter MOT1 on transcript accumulation and nitrogen/sulphur metabolism in Arabidopsis thaliana. J Exp Bot 62(4): 1483-1497. Ohkama-Ohtsu, N., Sasaki-Sekimoto, Y., Oikawa, A., Jikumaru, Y., Shinoda, S., Inoue, E., Kamide, Y., Yokoyama, T., Hirai, M. Y., Shirasu, K., Kamiya, Y., Oliver, D. J. and Saito, K. (2011). 12-oxo-phytodienoic acid-glutathione conjugate is transported into the vacuole in Arabidopsis. Plant Cell Physiol 52(1): 205-209. Baek, D., Pathange, P., Chung, J. S., Jiang, J., Gao, L., Oikawa, A., Hirai, M. Y., Saito, K., Pare, P. W. and Shi, H. (2010). A stress-inducible sulphotransferase sulphonates salicylic acid and confers pathogen resistance in Arabidopsis. Plant Cell Environ 33(8): 1383-1392. Matsuda, F., Shinbo, Y., Oikawa, A., Hirai, M. Y., Fiehn, O., Kanaya, S. and Saito, K. (2009). Assessment of metabolome annotation quality: a method for evaluating the false discovery rate of elemental composition searches. PLoS One 4(10): e7490. Ohkama-Ohtsu, N., Oikawa, A., Zhao, P., Xiang, C., Saito, K. and Oliver, D. J. (2008). A gamma-glutamyl transpeptidase-independent pathway of glutathione catabolism to glutamate via 5-oxoproline in Arabidopsis. Plant Physiol 148(3): 1603-1613. Watanabe, M., Kusano, M., Oikawa, A., Fukushima, A., Noji, M. and Saito, K. (2008). Physiological roles of the beta-substituted alanine synthase gene family in Arabidopsis. Plant Physiol 146(1): 310-320. Nakamura, Y., Kimura, A., Saga, H., Oikawa, A., Shinbo, Y., Kai, K., Sakurai, N., Suzuki, H., Kitayama, M., Shibata, D., Kanaya, S. and Ohta, D. (2007). Differential metabolomics unraveling light/dark regulation of metabolic activities in Arabidopsis cell culture. Planta 227(1): 57-66. Morikawa, T., Mizutani, M., Aoki, N., Watanabe, B., Saga, H., Saito, S., Oikawa, A., Suzuki, H., Sakurai, N., Shibata, D., Wadano, A., Sakata, K. and Ohta, D. (2006). Cytochrome P450 CYP710A encodes the sterol C-22 desaturase in Arabidopsis and tomato. Plant Cell 18(4): 1008-1022.